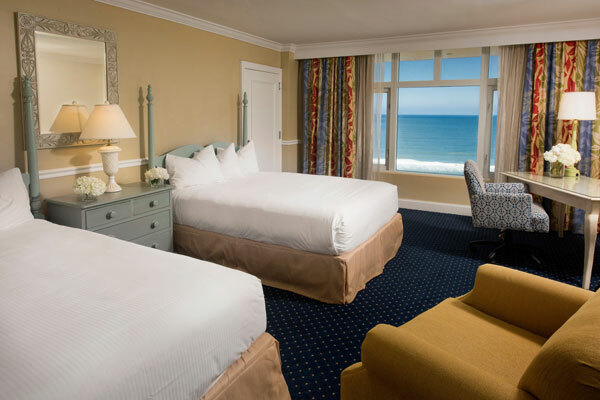 The Shores Resort & Spa, an oceanfront resort in Daytona Beach Shores, Florida, has completed renovations to all 212 guest rooms, the lobby and fitness centre. All rooms of the hotel have new historical Daytona artwork, carpeting, wall coverings and paint, and taller, water-saving toilets. The rooms feature new furniture including headboards, drapes, desk and floor lamps, shower heads and lighting in bathrooms, and phones. Hallways were upgraded with new carpeting and artwork. The hotel’s fitness room was also updated with all new equipment, including elliptical machines, treadmills and weightlifting equipment. The popular outdoor oceanfront Ocean Terrace welcomed a new pergola and lush new landscaping, creating an ideal venue for destination weddings. The iconic resort opened in 1973 and was last renovated in 2014 when the hotel’s lobby, restaurants and guest rooms were modernized, and private, oceanfront cabanas installed. Guest rooms at The Shores are known for their water views of either the Atlantic Ocean or Intracoastal Waterway from oversized windows and terraces or balconies.